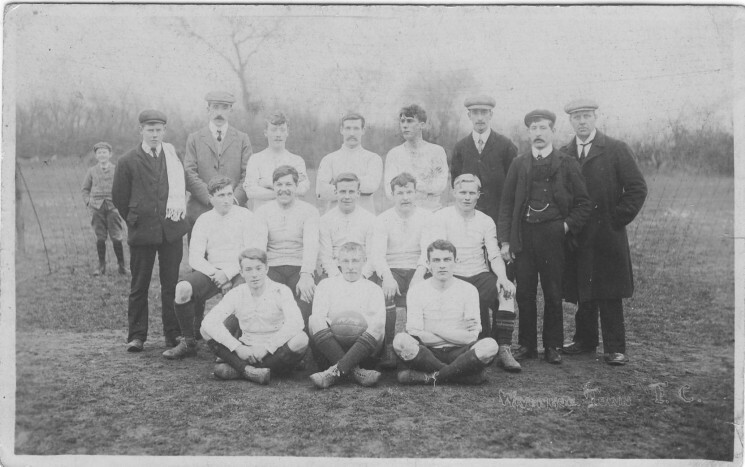 A Wivenhoe Football Club thought to be from 1907. Can anybody name them?? This page was added on 26/03/2015. I think that the footballer seated extreme right in the middle row could be Jack Hatch’s father. The one in the middle of the front row is Cliff Scofield who acted as umpire for Wivenhoe Cricket Club for many years.